In this workshop, you will try out a flow and accompanying low-fidelity tools to support ethical decision-making for the creators of new connected devices. You’ll join a fictional company and be faced with a challenge, which will reveal conflicts of values and choices. 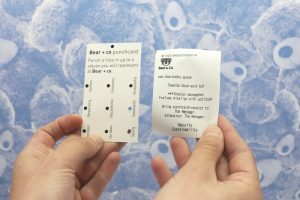 You’ll use our paper-prototype to find a way through the messiness of trying to make ethical products. Then, you’ll share your experiences with the tools and help build upon them. This will be an informal “co-design” session where we will mix up different disciplines and knowledge(s) to build something better together. Your inputs and expertise will be invaluable for our VIRTEU project as we head towards higher fidelity prototypes – and finally towards a set of tools that seek to bring ethical thinking + self-assessment into the design of connected products. Here’s a fun prototype we recently created for the Ars Electronica festival if you want a feel for the project. So come learn about one aspect of our approach and share your wisdom. In this session we’re bringing together a few different backgrounds and perspectives that would be meaningful for our project at this moment.